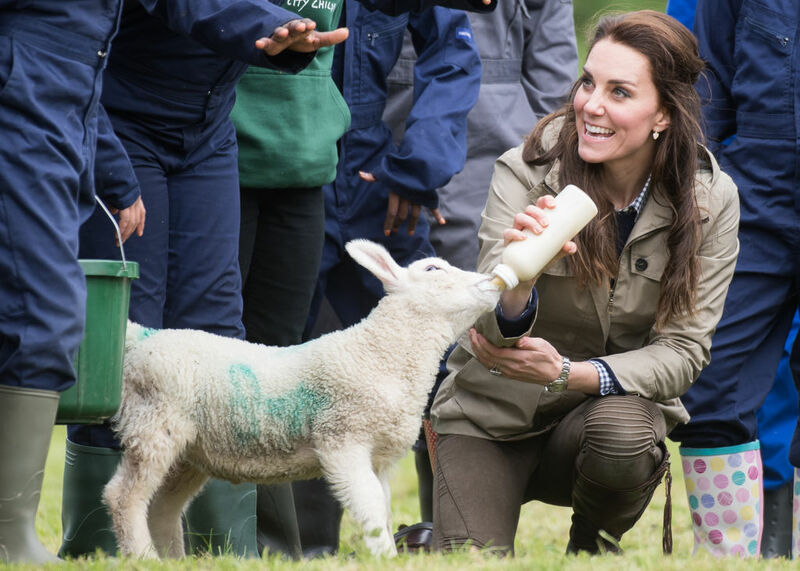 Kate Middleton may be a superstar mom to Prince George and Princess Charlotte, but on Wednesday, she played mom to an adorable little lamb. 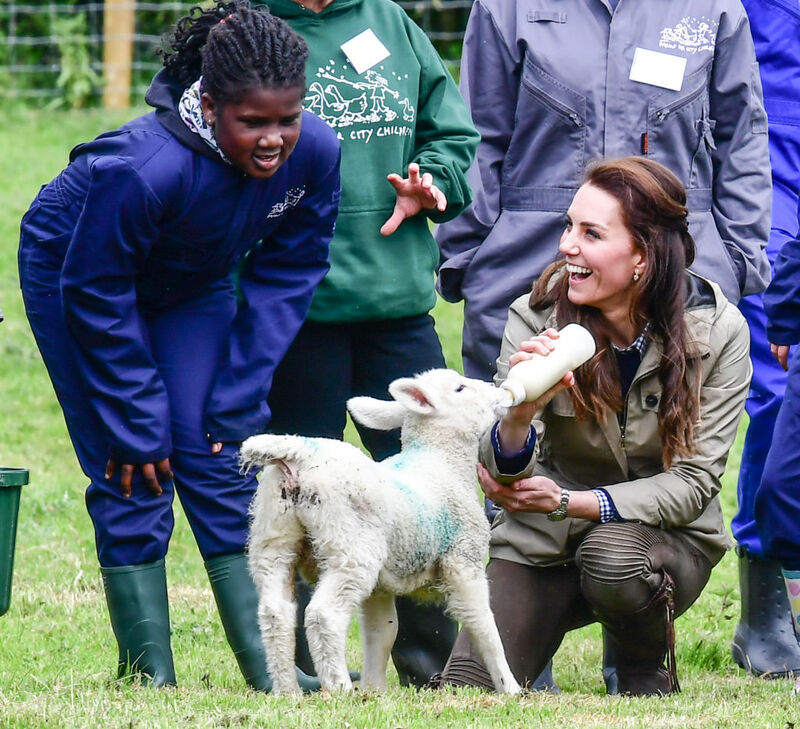 Just a day after Charlotte’s second birthday, the Duchess of Cambridge bottled fed a lamb while visiting Farms for City Children, a charity in Arlingham, Gloucestershire, which gives city students the chance to work on a farm for a week. Unlike the students, Middleton was just visiting for the day, but she got right to work, bottle-feeding a lamb (which was adorably named Stinky). We love seeing her so at ease with little Stinky, and hopefully, in a few years, George and Charlotte will join her! 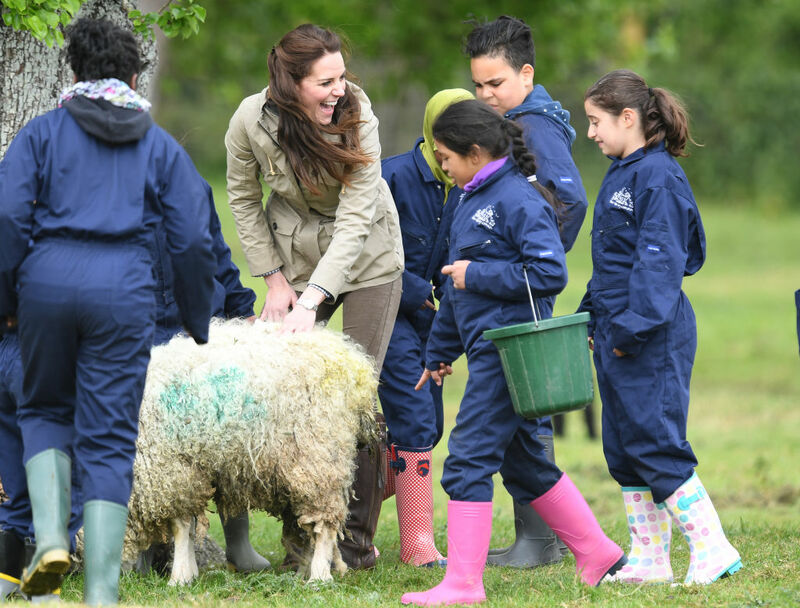 During her visit to the farm, Middleton bonded with the students of Vauxhall Primary School in London, and even opened up to them about the many animals she and Prince William have in their country home in Norfolk. Apparently, in addition to their dog Lupo, the royal family also has a chicken coop with five chickens in it, and have recently purchased an egg incubator. She told the children that George and Charlotte are especially excited to see the eggs hatch. In addition to giving Stinky some milk, she also helped weigh pigs — and wasn’t afraid to push them along — with her bare hands. We love how unafraid she is to get her hands dirty! We also love how open she is to talking about her life and kids — just like any other parent. We hope the royal family releases photos of the new chicks when they hatch!